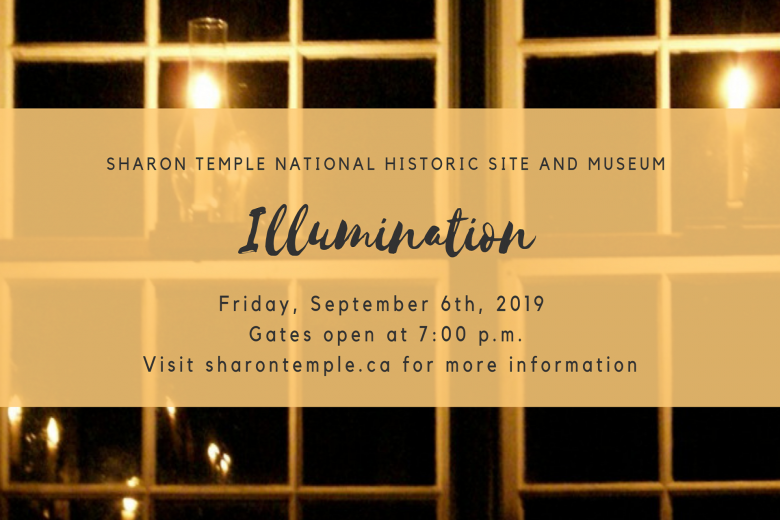 Our signature event of the year, Illumination celebrates the traditions of the Children of Peace, the builders of the Sharon Temple. 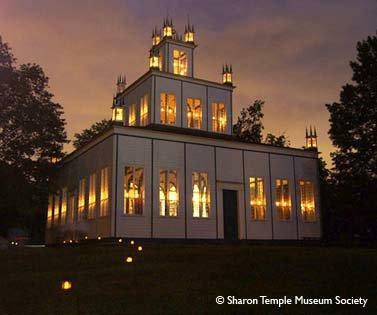 We gather in the Temple at dusk, enjoy music, performances and a short talk all by the light of almost 100 candles. Please note: Dress for the weather as Temple is not heated. Tickets go on sale in July for $30, more information about this event is available on our website: www.sharontemple.ca. Following the practice of the Children of Peace, we recreate The Illumination on the first Friday night of September every year. Candles are lit in every window of the Temple and in the twelve lanterns on the corners. It is a unique evening of candlelit splendour, music, readings and ceremony. The Illumination is followed by light refreshments on the grounds. Tickets are general seating, we recommending arriving at 7 pm when the gates open. If you require accommodations, please let us know when you purchase your tickets.